It’s a week until the release of Futurology, the brilliant, revelatory new Manic Street Preachers album. I’ve been excited about this record ever since August 2013, when I went to Newport to interview Nicky Wire about Rewind The Film, still a month away from release. After we’d finished our official business, Nicky asked if I fancied hearing a couple of the songs from the next new Manics record. So I was treated to high volume playbacks of Europa Geht Durch Mich and The Next Jet To Leave Moscow. These two songs immediately placed the as-yet-untitled Futurology in very different territory to the contemplative, primarily acoustic Rewind The Film, where its authors felt assailed by the doubts and depredations of middle-age. A militaristic diskostompf, Europa Geht Durch Mich (“Europe passes through me”) felt like a reinvigoration, a rallying cry – a new beginning. 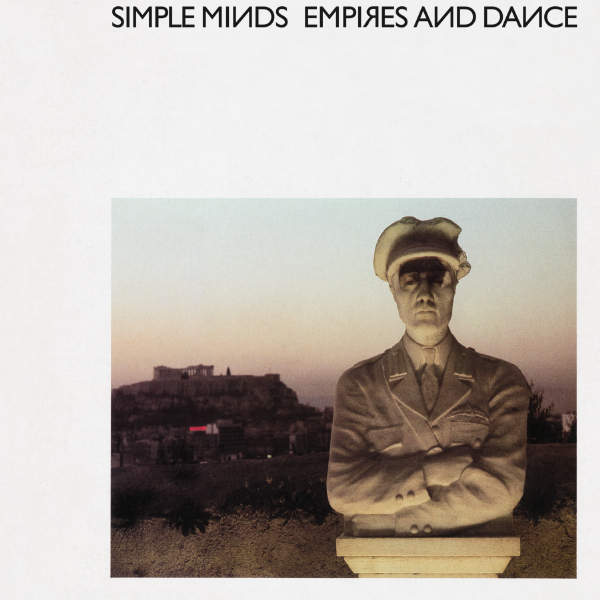 I was tickled by its opening lyric – “Europe had a language problem” – because it’s an only slightly adapted quote from Simple Minds’ mighty I Travel. Much of the pre-release chatter around Futurology concerns its Simple Minds influence. If the Manics’ love of Simple Minds seems curious that’s partly because it was never cool to like Simple Minds, not even amid the post-punk ferment when their prog-curious Kraut-grooves were more radical than many cared to admit, and certainly not after effecting their enormodome reinvention for the American market, a process that began with 1985’s Don’t You (Forget About Me). But ‘cool’ has never been part of the Manics’ lexicon: one function of band’s iconoclastic reflex (exhibit A: “I laughed when Lennon got shot”) is the elevation of their own heroes over whatever the prevailing critical consensus deems acceptable. When I first interviewed them, in 1994, shortly before the release of The Holy Bible, it was clear that the blustery hard rock of their first two albums had been something of a Trojan Horse by which to storm the mainstream. The Holy Bible was terse and claustrophobic – a stunning shift in emphasis. I walked into a photographer’s studio to meet the band and was assailed by the Manics’ new sonic manifesto issuing forth from a ghetto blaster: featuring, among others, Magazine, Public Image Ltd, Joy Division, Berlin-era David Bowie, Wire and, most strikingly, Simple Minds and the Skids (another group of working-class Scots liberated by punk and balancing pretension with pop genius). There was a visual clue on The Holy Bible‘s sleeve: the typography aped the Minds’ Empires And Dance in its use of the Cyrillic reversed ‘R’. All of which is evident on the bold panoramas and electro pulses of Futurology. In particular, I hear echoes of the Skids’ dense, melody-saturated 1979 album Days In Europa, most obviously on The Next Jet To Leave Moscow, which has a beautiful liquid guitar solo worthy of Stuart Adamson, or his hero Bill Nelson, the Be-Bop Deluxe guitarist who produced Days In Europa. Also, the song opens with the same chattering drum machine of the Skids’ Charade. I’d forgotten about this hilarious video, like Roxy Music meets Devo. What a great band the Skids were. But it’s the visionary scope of Simple Minds that recurs most prominently. The template for instrumental Dreaming A City (Hughesovka) is Theme For Great Cities, the cinematic opener from 1981’s Sister Feelings Call. At their peak, Simple Minds were all about the liberating possibilities of movement and the promise of the journey – as Wire [the band] once put it, “Displaying an interest in forward propulsion” – and I think the Manics evoke that optimistic spirit in Futurology. Separately, I also spoke to the other three original members of Simple Minds: Derek Forbes, Mick MacNeil and Brian McGee. Despite the contentious issues that may divide them (an attempted 2008 reunion collapsed amid business squabbles), it was obvious that all still felt deeply connected to the band and were proud of its ongoing legacy. The Dortmund performance is thunderous – the arena seems to quake in submission. But recently I found this footage from the same period, which is just as thrilling in spite of the Minds playing to a small audience for a television programme (BBC’s Oxford Roadshow). Every member of Simple Minds was a master of his craft – JDB rightly singled out bassist Derek Forbes and keyboardist Mick MacNeil for special mention – but here it’s guitar hero Charlie Burchill who surpasses himself. “Dynamite!” as the man himself would say. A couple of months ago I saw the Manic Street Preachers play Cardiff. It was an arena gig, with all the conventions and stratagems rock bands require to make sense of such spaces. 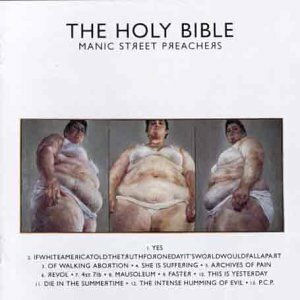 But the Manics found ways to mess with the formula, mostly through giving vent to the quirks and obsessions which have driven them from the very beginning – like Nicky Wire quoting Richard Jobson’s preamble to the Skids’ TV Stars (“We do also speak politics to you today-ah!”). The peak moments for me were the Futurology songs – Europa Geht Durch Mich and the title track – signifying a new journey about to begin. The audience weren’t entirely sure what to make of them; which is partly why it felt exciting. Like some sort of emancipation, you could say. And the moral of the tale? The greatest bands are the ones whose next move you can’t imagine.